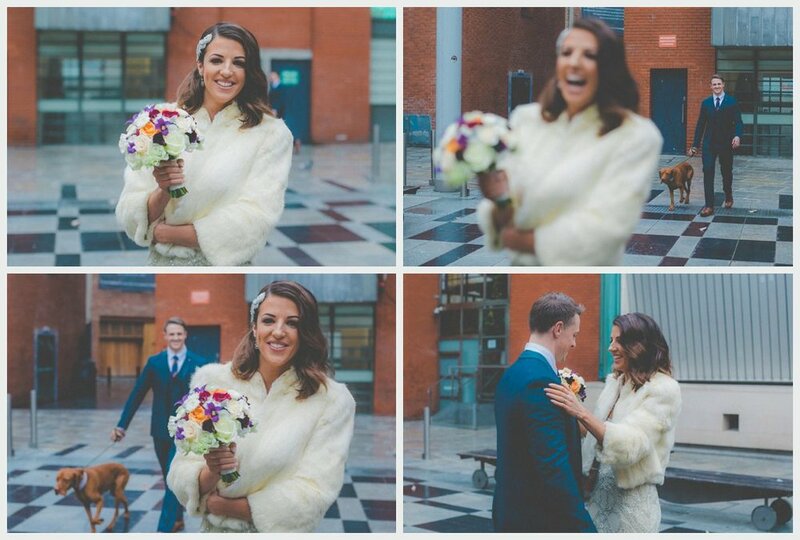 Elegant, modern, fun plus doggie friendly are a few words that describe Fiona + Dave’s superb Dublin City Wedding. They decided on a “First Look” photoshoot before the ceremony, and their cute dickie bowed doggie even joined us for a couple of shots, “First Looks” are becoming more of a trend particularly for Weddings that are taking place in the winter or later in the day. 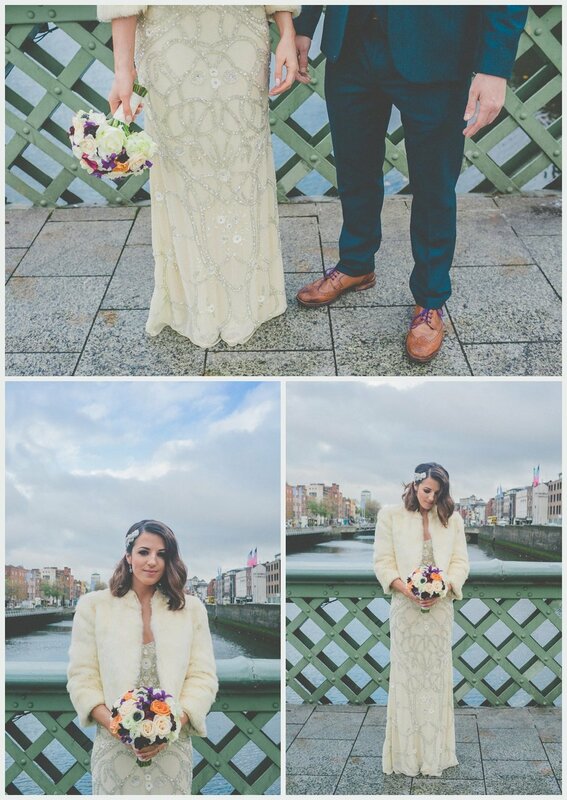 We met in Temple Bar and went for a short stroll around the area and captured some great moments with the couple.Then it was off to City Hall for the nuptials, afterwards the couple took over Cleaver East for the party! 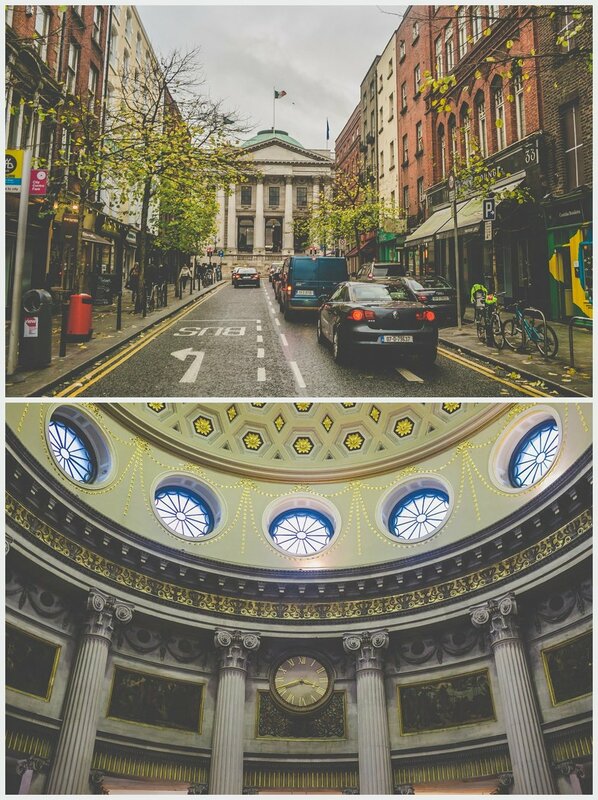 Shooting in Dublin City is so diverse with a great choice of backdrops including graffitied walls, quirky facades, plus stunning architecture. 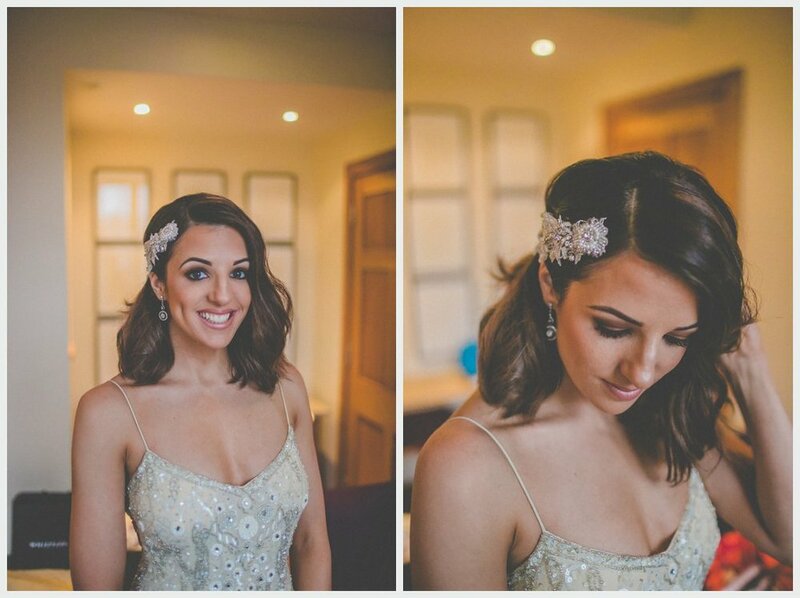 Thanks F + D…..the craic was mighty and it was a great privilege!